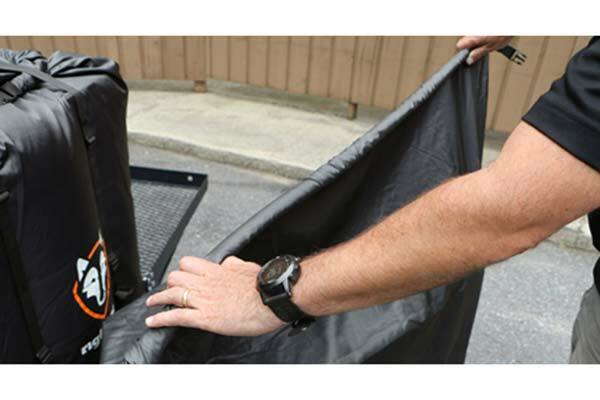 The cut, tear, and abrasion resistant Para-Shield™ bag keeps your gear clean and secure. Tape sealed seams keep your gear dry. 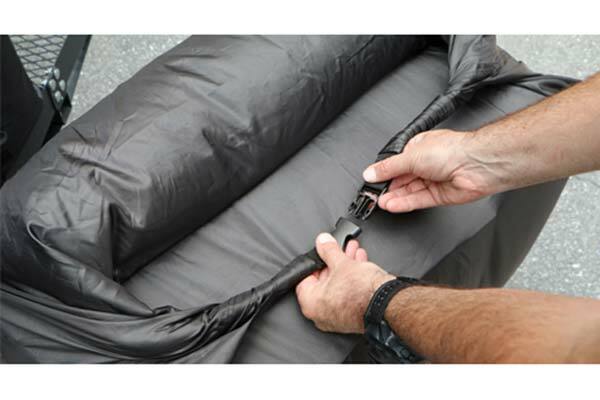 Heavy duty straps secure the bags in place. 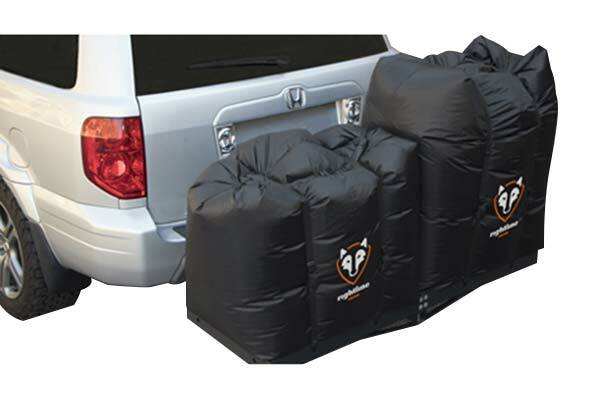 After use, the bags fold down into a small stuff sack that can be stored behind or beneath the vehicle’s seats. 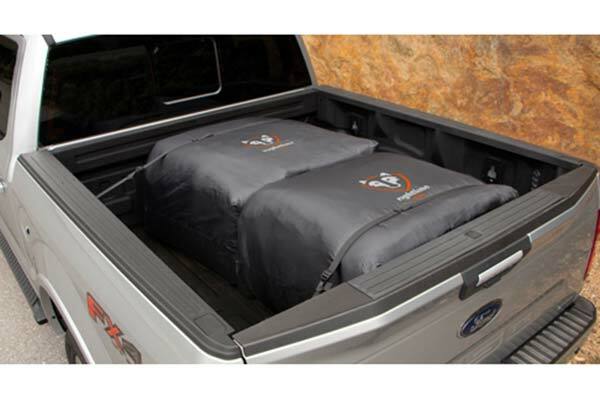 The Hitch Rack Dry Bags also work great in truck beds! 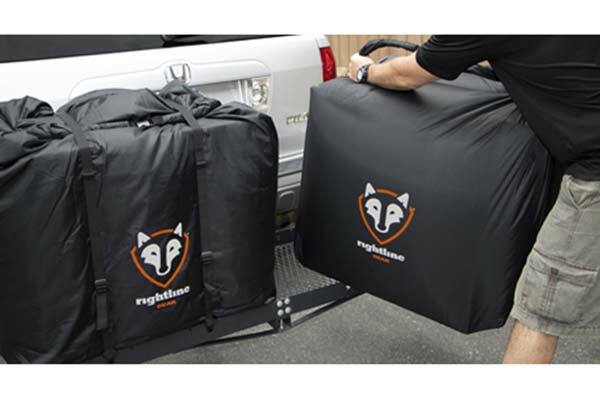 The Rightline Gear Hitch Rack Dry Bags keep your gear dry, no matter the shape or size. 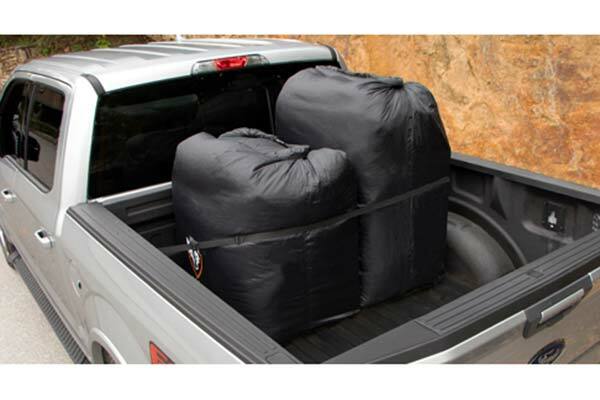 A step up from rectangular hitch rack bags that can’t hold large odd-shaped gear and tie-downs that can’t keep gear dry. 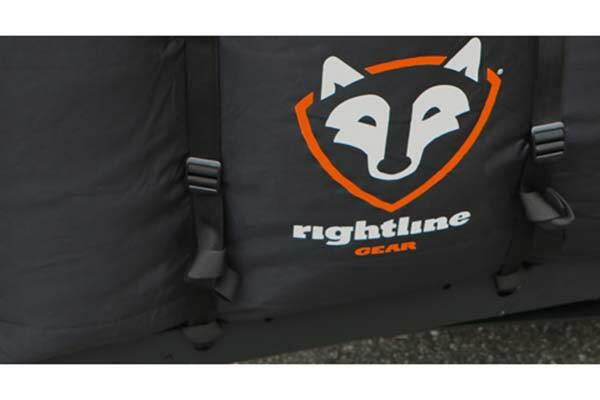 Simply roll the top of the bag downward until it contacts your gear, bring the ends of the bag together, and engage the quick release buckle. Reference # 753-513-612 © 2000-2019 AutoAnything, Inc.